Refresh flat, limp hair with Herbal Essences Blue Ginger &amp; Micellar Water Shampoo. Our real botanicals are endorsed by Royal Botanic Gardens, Kew, a leading expert on plants. 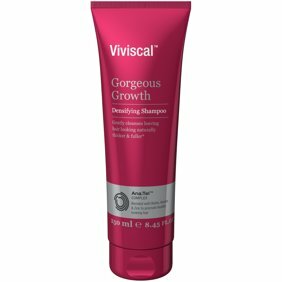 This silicone-free shampoo, with real botanicals, helps volumize and lift hair from root to tip. <br /> <br />Crafted with our signature blend of real botanicals, Blue Ginger &amp; Micellar Water Shampoo helps refresh for radiant, beautiful hair. Color-safe and pH-balanced, this shampoo cleanses while infusing notes of ginger, floral bouquets and clean musk into your hair - leaving it full of volume. <br /> <br />Lather, rinse and repeat with ease knowing your shampoo is silicone-free, paraben-free and colorant-free, and made with at least 90% natural-origin ingredients. * <br /> <br />*Purified water and natural-source ingredient materials with limited processing. Refresh flat, limp hair with Herbal Essences Blue Ginger & Micellar Water Shampoo. Our real botanicals are endorsed by Royal Botanic Gardens, Kew, a leading expert on plants. This silicone-free shampoo, with real botanicals, helps volumize and lift hair from root to tip. Crafted with our signature blend of real botanicals, Blue Ginger & Micellar Water Shampoo helps refresh for radiant, beautiful hair. Color-safe and pH-balanced, this shampoo cleanses while infusing notes of ginger, floral bouquets and clean musk into your hair - leaving it full of volume. Ingredients: Water, Sodium Laureth Sulfate, Sodium Lauryl Sulfate, Sodium Chloride, Cocamidopropyl Betaine, Alpinia Galanga Rhizome Extract, Betula Alba Bark Extract, Histidine, Aloe Barbadensis Leaf Juice, Ecklonia Radiata Extract, Fragrance, Sodium Citrate, Sodium Xylenesulfonate, Citric Acid, Sodium Benzoate, Hydroxypropyl Methylcellulose, Tetrasodium EDTA, Niacinamide, Methylchloroisothiazolinone, Methylisothiazolinone. Instructions: Apply shampoo generously to wet hair, massage into a creamy lather and then rinse. Follow with Herbal Essences’ Conditioner with bio:renew. This conditioner is great. Firstly, it smells delicious and makes your hair so smooth and soft after use! I have been getting so many compliments that my hair smells amazing! I will definitely be buying this when I finish my product! It makes my hair shiny and soft which is exactly what I look for in a conditioner! Finally, a more readily available shampoo that's eco-friendly and natural has hit the market! Thank you Herbal Essenes for understanding the need for natural, chemical-free products that are also good for our environment!! The Blue Ginger smells amazing! I'm so in love with this scent!! Please don't ever discontinue this product line and/or scent! !